April: Fasten your seatbelts - 3 concerts in 3 states in 48 hours! The day after our debut in the wonderful and relatively new Verizon Hall in Philadelphia on a hot and sunny day spring day, we drove 5 1/2 hours to Keene, New Hampshire for the first of these three weekend concerts, happening hundreds of miles apart between 8pm Friday and 5pm Sunday. Life is never boring. 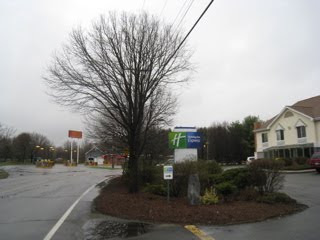 The northeastern mini-heatwave which we enjoyed in Philadelphia seems to be over - it's cold and rainy in our little corner of New Hampshire.